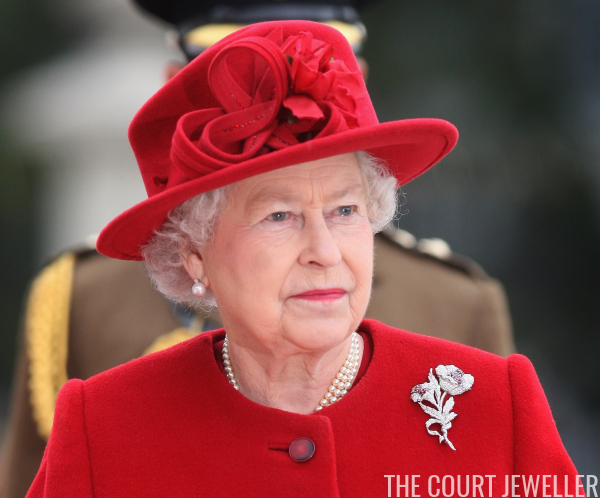 The Hibiscus Brooch, set with diamond and rubies, was given to the Queen Mother by the people of Australia in 1958. The hibiscus is an important flower in Australia -- so important, in fact, that the nation even has an Australian Hibiscus Society. 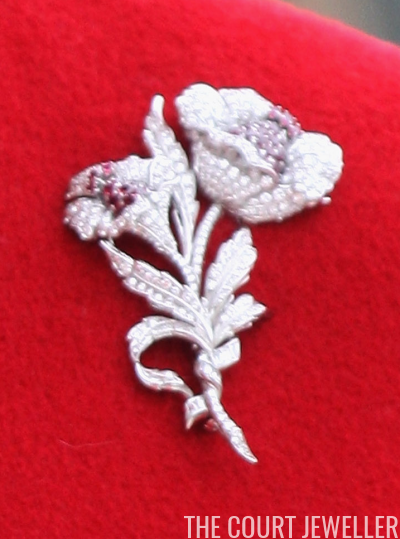 The brooch features two of these hibiscus flowers entwined. It was made in 1958 ahead of the Queen Mother's tour of Australia. The Sydney Morning Herald revealed ahead of the visit that the Queen Mother would receive "a diamond and ruby brooch unoffically estimated to cost more than £5,000," adding that the jewel "was designed and created by Mr W.J. Laver, of a Collins Street jewellery store which was commissioned by the Commonwealth to do the job." Sensibly, the jewelry store's manager told the paper, "Protocol doesn't permit the cost of a gift to Royalty to be mentioned -- or even guessed at." 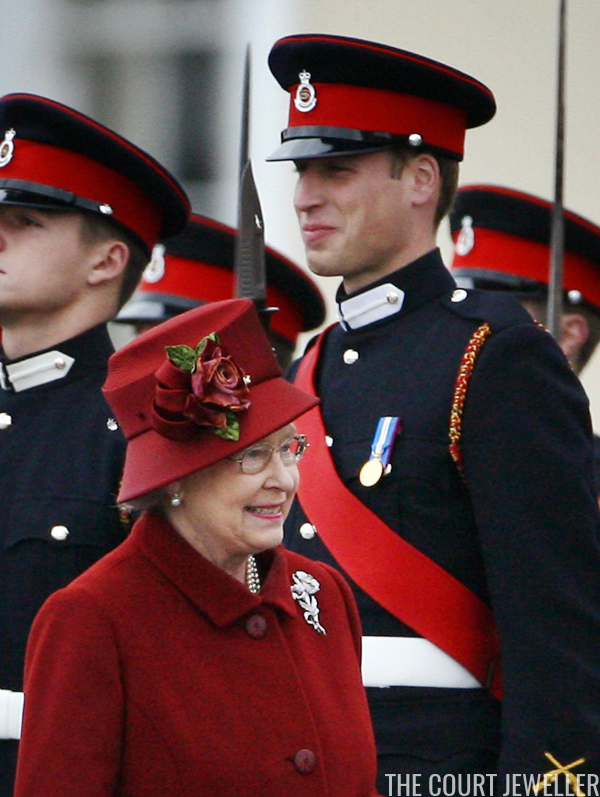 The Queen Mother was absolutely delighted with the gift, and she began wearing it right away. 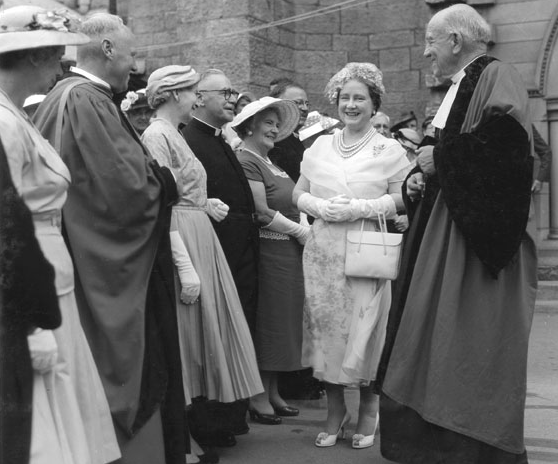 A reporter for the Sydney Morning Herald wrote on February 16: "The Queen Mother wore Australia's present of a diamond and ruby brooch for the first time in public at St. John's Church today. The Prime Minister, Mr Menzies, presented it to her at a dinner party at Government House last night. The brooch was pinned to the shoulder draping of her white organza dress, the skirt of which was patterned with a trail of misty pink roses in the same tone as the rubies. Her other jewellery was the ruby-clasped three-strand pearl necklace and small diamond and pearl earrings that she wore when she arrived in Canberra." Above, in perhaps the most Aussie-themed photo of the Queen Mum ever taken, she wears the brooch while cradling a koala during the 1958 visit. 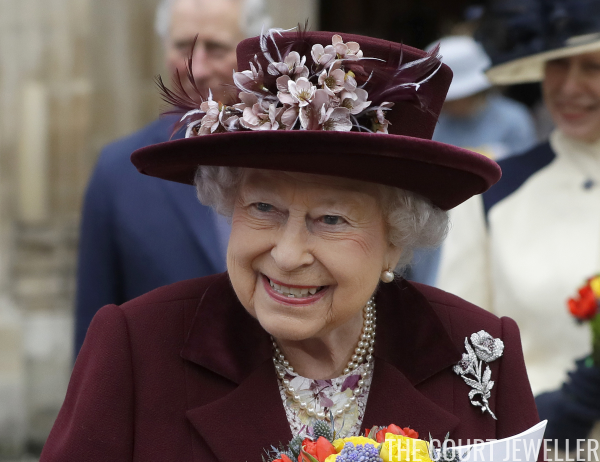 Since then, the hibiscus has been a fairly regular part of the Queen's brooch rotation, most often appearing when she wears red or pink outfits, and frequently for events related to Australia or the Commonwealth. 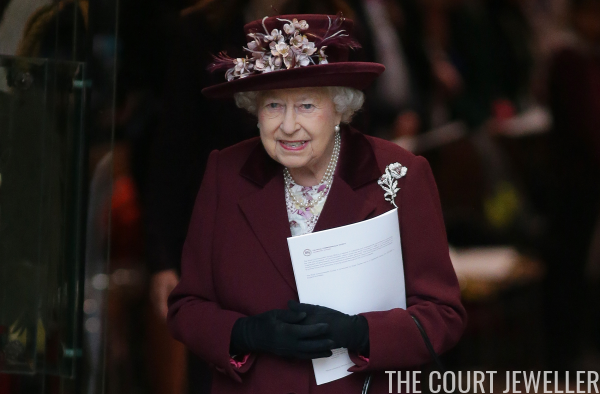 Appropriately, then, one of the most recent outings for the brooch came in March 2018, when the Queen wore it for the annual Commonwealth Day service at Westminster Abbey.